Each of our three major islands has a unique character all its own. St. Croix's Danish influence is perfect for visitors who prefer a laid-back experience. The historic towns of Frederiksted and Christiansted offer quaint shops, charming pastel buildings and refreshing cultural diversity. 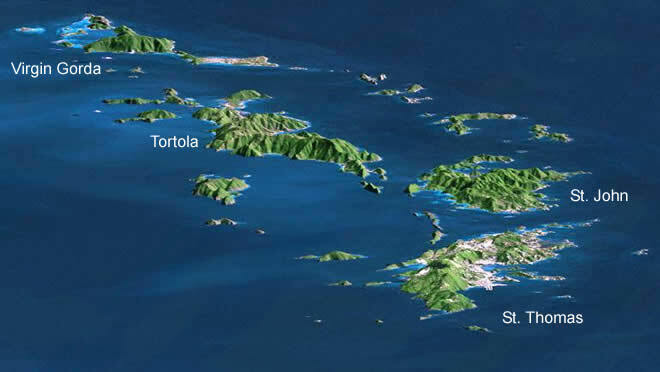 Two-thirds of St. John is a national park. Its comfortable pace is perfect for enjoying the island's world-renowned beaches such as Trunk Bay, Cinnamon Bay and Salt Pond Bay. St. Thomas boasts one of the most beautiful harbors in the world. 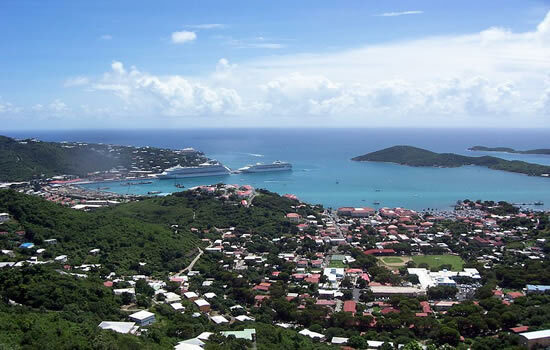 As the most visited port in the Caribbean, downtown Charlotte Amalie offers elegant dining, exciting nightlife, duty-free shopping and even submarine rides. Though it's full of energy, especially in Charlotte Amalie, this island also possesses numerous sublime natural splendors, such as stunning views of the Caribbean from 1,500 feet above sea level. Charlotte Amalie, St. Thomas, capital of the U.S. Virgin Islands Trunk Bay, St. John Magens Bay, St. Thomas. USVI BAREBOAT CHARTERS - The ultimate in privacy & freedom, bareboat rentals are for groups having their own qualified skipper. Hiring a captain and or hostess/cook always remains an option. For a list of our available Bareboat yachts, please Click Here. Planning where to go and what stops to make are half the fun! There are many anchorages and many ways to sail the Virgins. Visit our Islands Overview Map below to learn about some of the anchorages and things to see. . Relax on the beach in the morning, explore a colonial church in the afternoon, and have a romantic dinner in the evening. Such is the extraordinary day in the life of a visitor to the U.S. Virgin Islands. Due to the unique history and picturesque setting, you will find an experience unlike anything else in the Caribbean. Beyond our world class attractions, we also offer a variety of activities and events that keep life exciting year-round. Explore the categories below to find out how you will enjoy the beauty of our islands. St. Croix is a sensational setting for enjoying the beautiful Caribbean Sea. Take sailing lessons, fly a kite on the beach, or enjoy a relaxing afternoon of sea kayaking. The islands possess some of the most unique diving opportunities in the world with incredible, vibrant reefs just minutes away from fascinating sunken ships.